A unique destination providing food, products, and care for our customers and patients to live longer, healthier lives and avoid chronic disease. 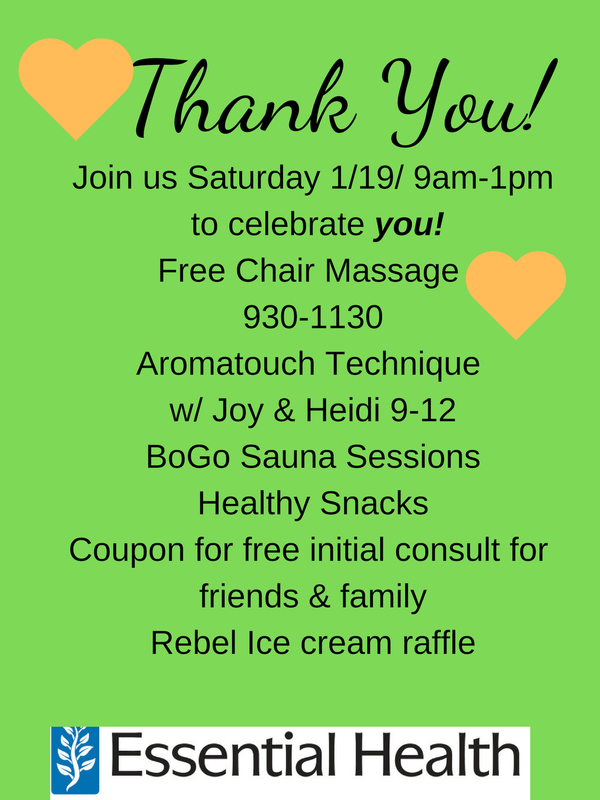 Client Appreciation Day Saturday 1/19 ! Save the Date for Celebrating you! Thank you for allowing us the opportunity to help you achieve your best state of health and wellness! Come in for a morning of pampering! Coupon for free initial consult with Dr Allie for friend or family member! Sports Sprain, Tear, Strain? Chiropractic care can help! Essential Health Events Not to Miss!